A new and super simple plank table is about to see the light of day. The table is conceived as a design by the Aarhus architectural firm Friis & Moltke, put into production by Getama. Two planks of Douglas fir from Dinesen, legs in the same wood and a custom-made metal hinge makes up the parts of the new dining table. It is available in eleven sizes, and is that doesn't satisfy, custom work can be performed at Getamas carpentry. The idea for the table occurred when Friis & Moltke lacked a solid table that could withstand everyday wear and tear, while providing a stylish setting for the agency lunch room. A table which in addition to acting as a practical dining table should also be of such caliber that it would fall naturally into the private dining room, in the elegant meeting room, at the busy restaurant or at the popular museum. Mikkel Bahr, industrial designer and responsible for Friis & Moltke design department, has been succesful in creating just that. It was imperative for Mikkel Bahr to make the plank table as solid as possible, since it must be usable in as many contexts as possible. For this purpose, Friis & Moltke in cooperation with a blacksmith developed a metal profile that locks and buckles the table's sloping legs in place so that the pins are self-locking and therefore extra stable. The table is not only an aesthetic experience in its simplicity, it also has high functionality, as it is produced without an annoying frame. 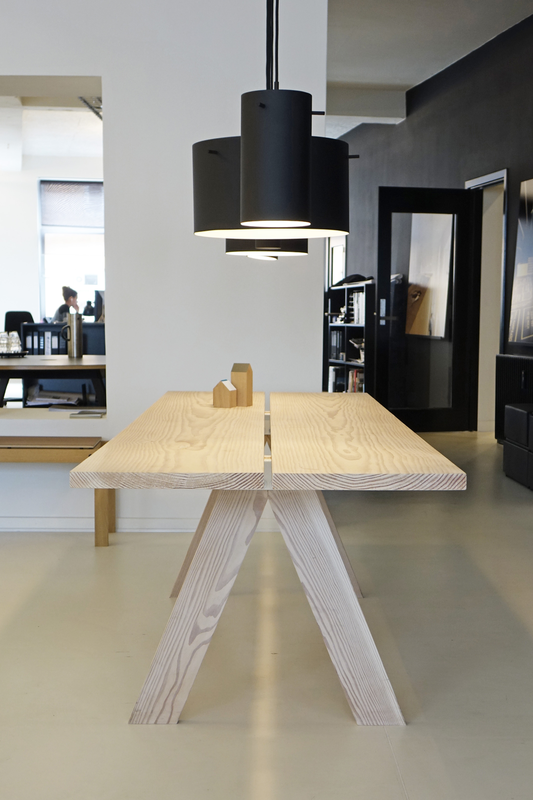 To create the expression of a solid table, Friis & Moltke have decided to put a narrow split between the two planks. Although the table is new, it includes a large amount of Friis & Moltke-DNA with their unsentimental approach to carpentry, production and architecture. In the 1960s and 70s, Friis & Moltke were pioneers for brutalism, which this plank table fits perfectly, with its raw and industrial simplicity without any fine detail. 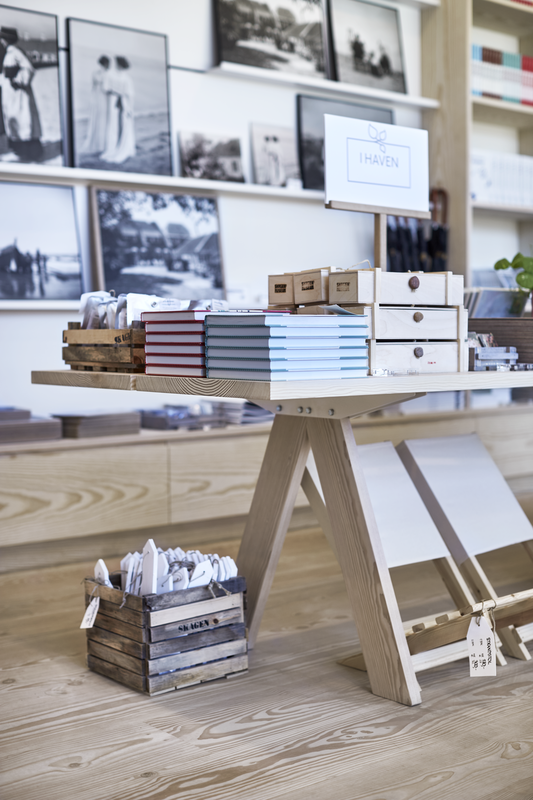 Friis & Moltke are particularly known for their architecture, but besides drawing public buildings and private domiciles they also create furniture and various accessories. And now a plank table for Getama. 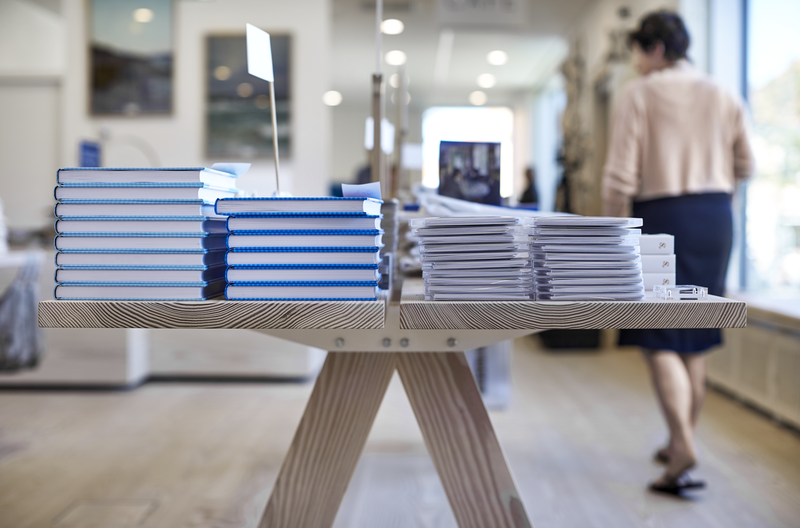 On the occasion of Skagen Museum's renovation and expansion, the plank table has already found its way to the museum shop and the museum meeting and conference rooms. A useful table and almost impossible to wear down, both in terms of material and manufacturing. The soap finished version can be cleaned and treated with something as natural as soap flakes. The plank table is also available with a matte varnish.